World of Warcraft is still the undisputed champ of subscription MMOs, but its numbers continue to slide. Activision Blizzard's second-quarter financial results have revealed that it is now down to 5.6 million subscribers. That figure represents a loss of 1.5 million monthly grinders since May, when it dropped dramatically from roughly ten million users to 7.1 million. That's obviously not good—according to VentureBeat, it represents the lowest number since 2005—but having 5.6 million subscribers is still the kind of problem literally every other MMO maker on the planet would love to worry about. Blizzard also said that the release of Fury of Hellfire, "one of the largest non-expansion updates to date," helped stabilize the subscriber count near the end of the quarter. More importantly (to Activision, anyway), Blizzard's revenues for the quarter actually increased year-over-year, thanks to "strong performance on the expanding Blizzard portfolio." That of course is primarily a reference to Hearthstone, which came out for mobile devices in April and has almost doubled "key engagement metrics" year over year, and the meta-Blizzard MOBA Heroes of the Storm that came out in early June. World of Warcraft will also no doubt see a spike in users following the release of the next expansion, which will be announced on August 6 at Gamescom. 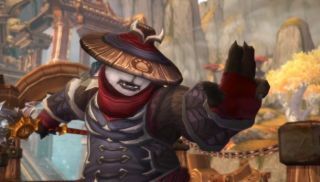 The days of ten million subscribers may be gone, in other words, but I don't think we need worry about the good ship Blizz just yet.